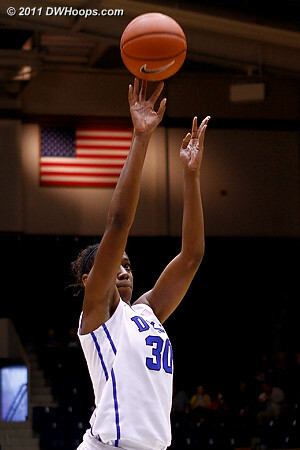 All photos have been tagged and captioned - DWHoops members may log in to see 20 additional photos. 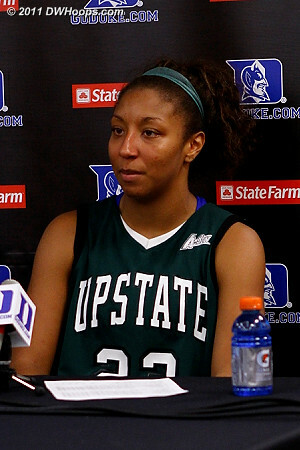 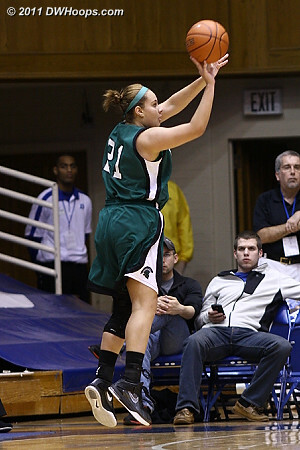 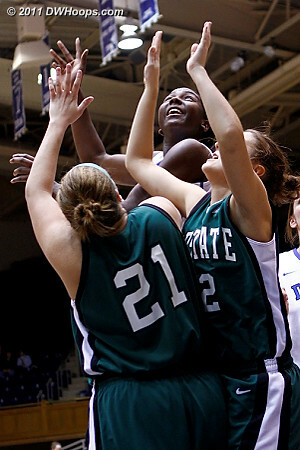 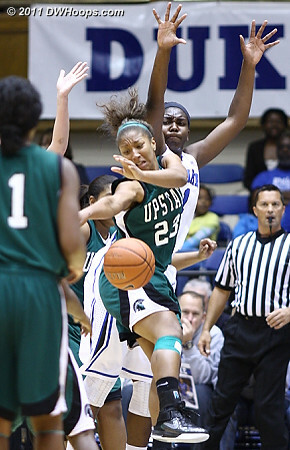 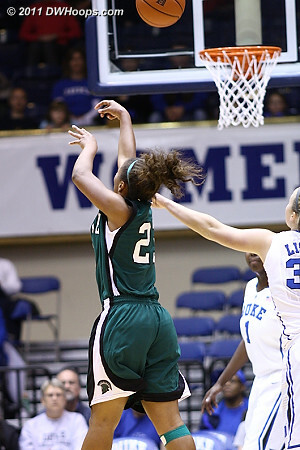 Open shots were available in the first half for USC Upstate's best player, Tee'Ara Copney. 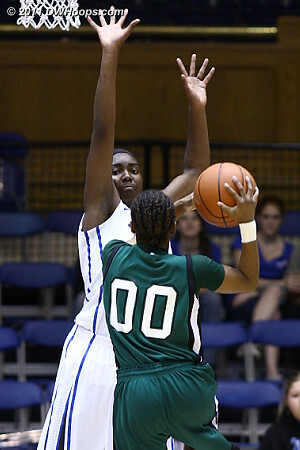 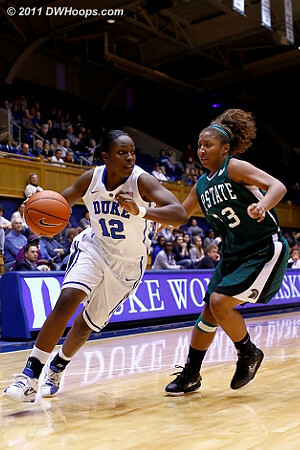 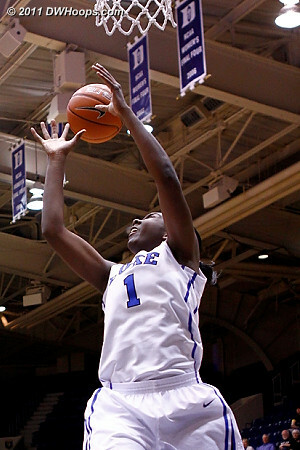 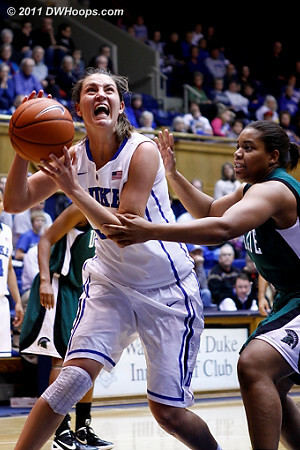 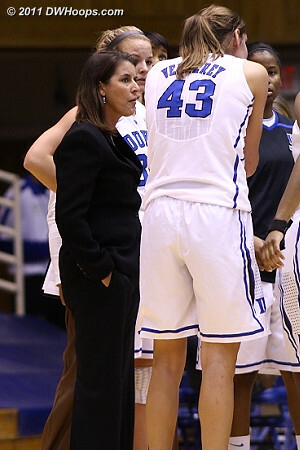 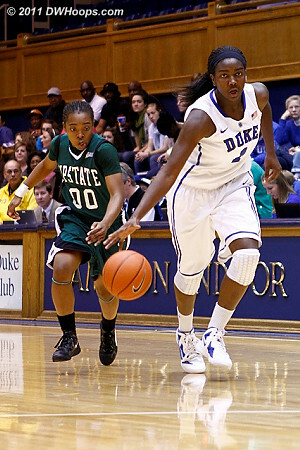 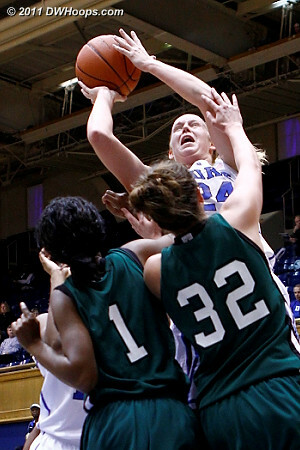 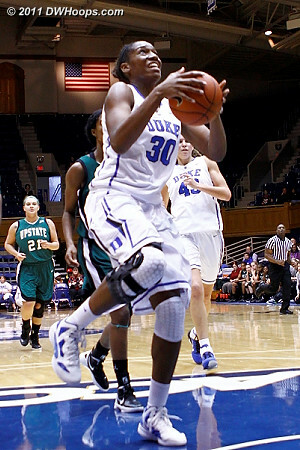 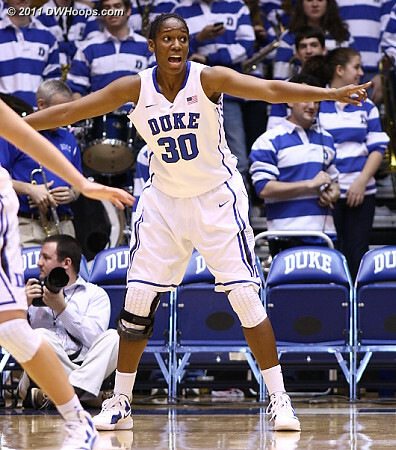 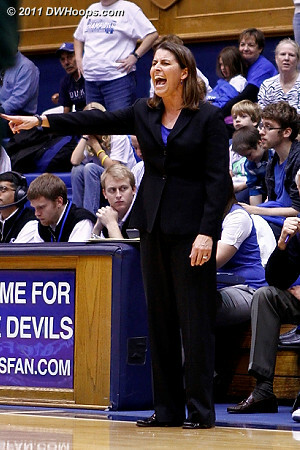 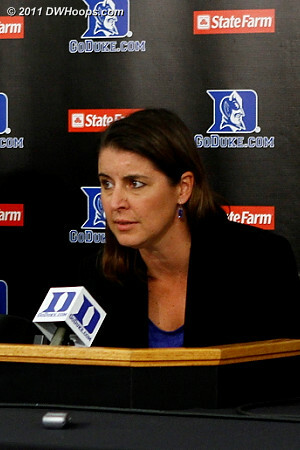 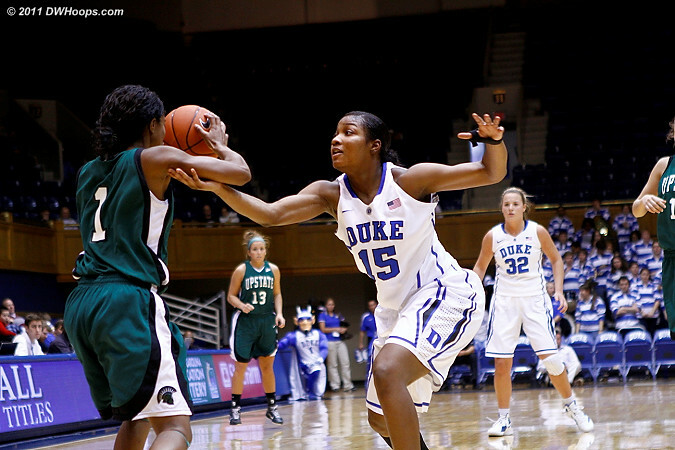 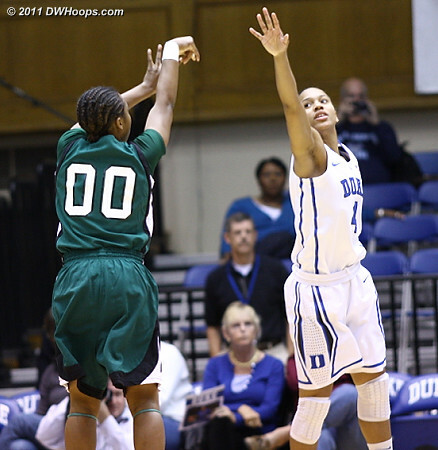 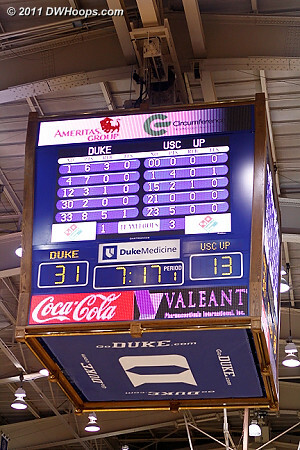 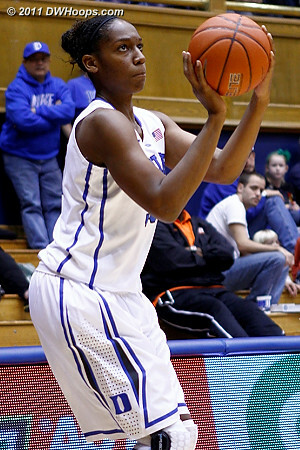 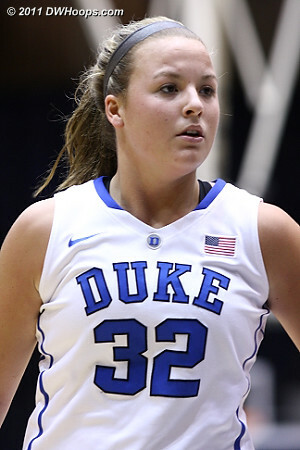 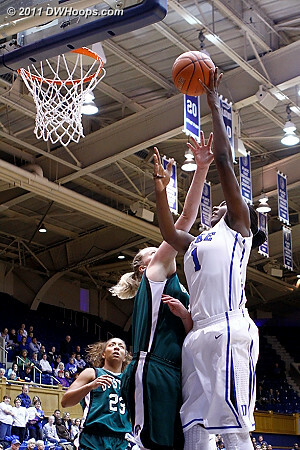 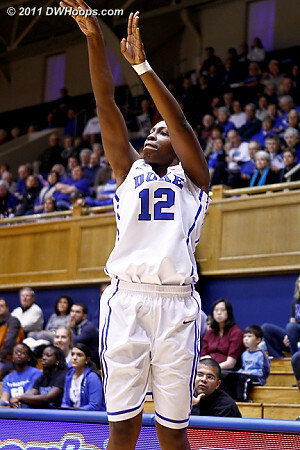 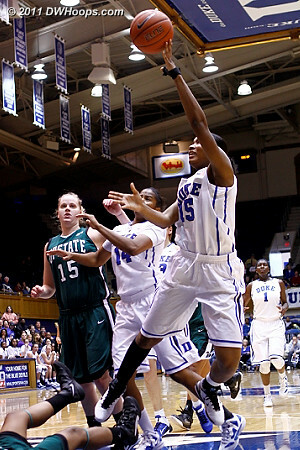 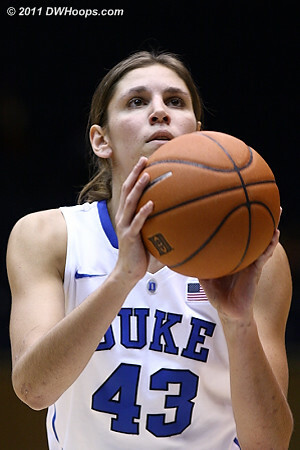 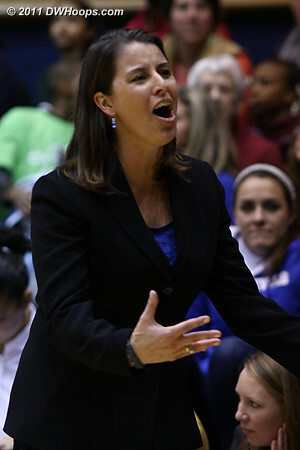 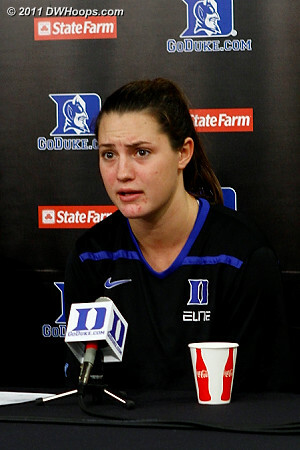 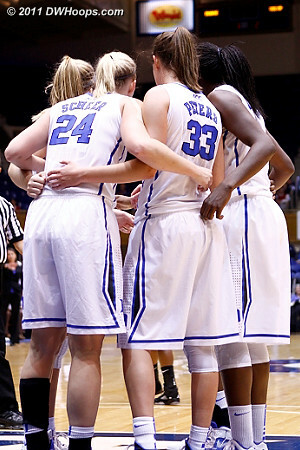 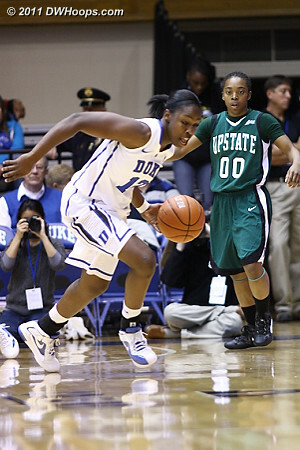 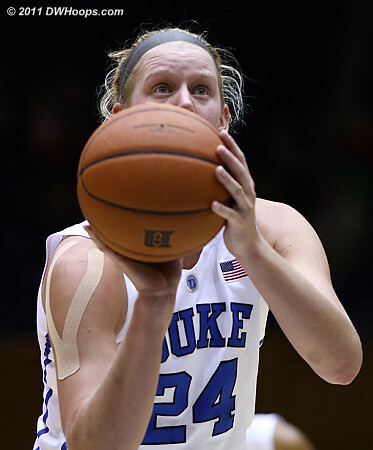 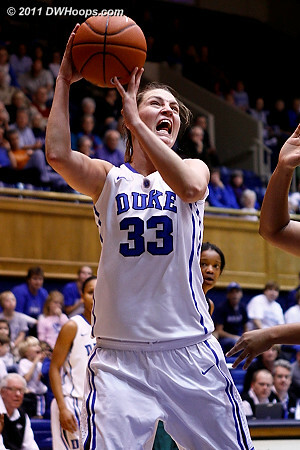 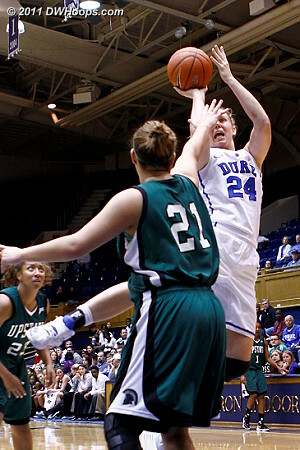 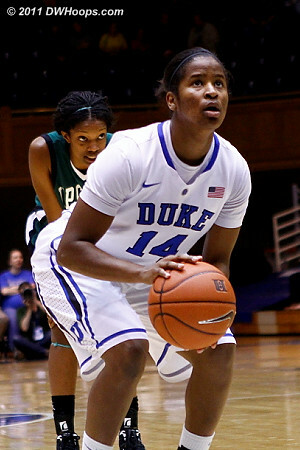 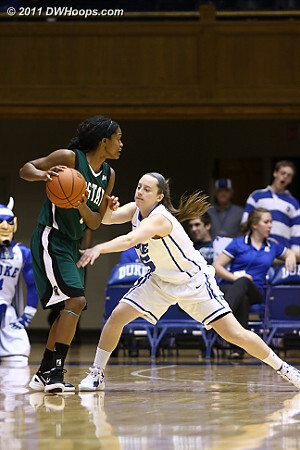 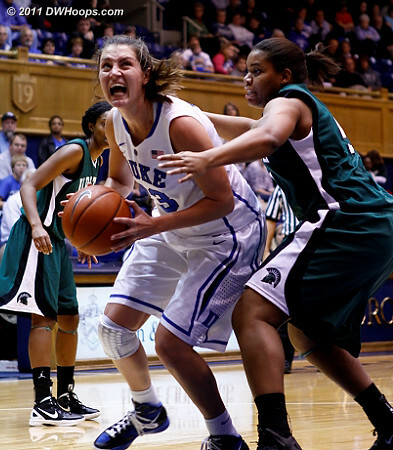 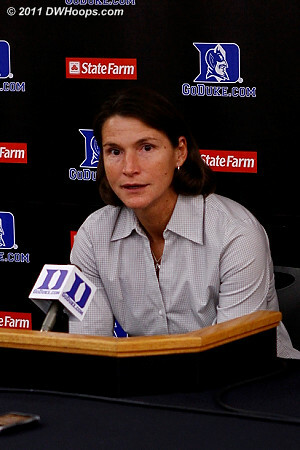 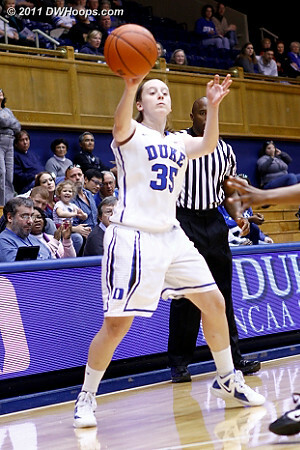 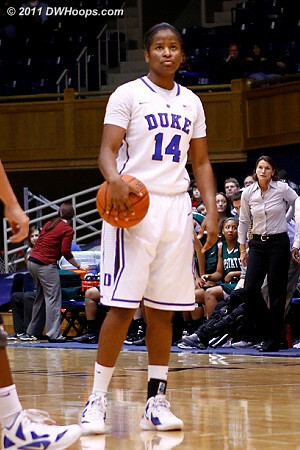 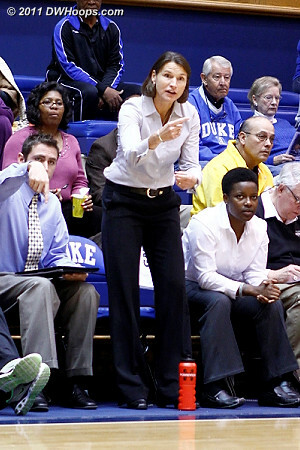 Duke was fortunate that she was only 3-10 (2-6 3FG). 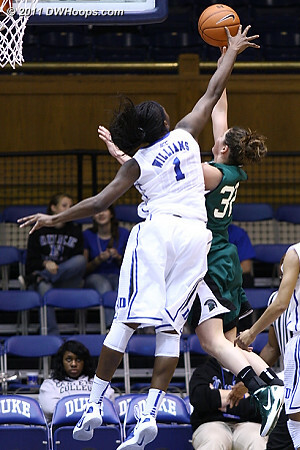 Elizabeth Williams powers to the goal on a perfect 10-10 FG afternoon, second only to Sheana Mosch's legendary 12-12 vs. Clemson in 2001. 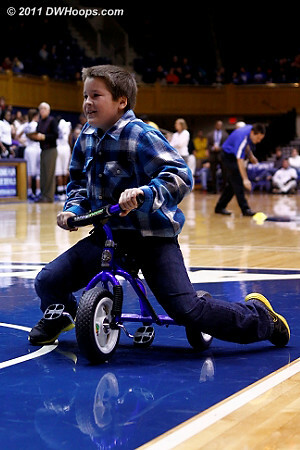 OK, it's only December and we're already pretty tired of the kid too tall to ride a tricycle time out.